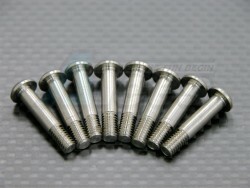 Titanium King Pin For GPM SAV1021 Alloy Steering Blocks. Light weight and heavy duty. The HPI Savage 21 Titanium King Pin For GPM Option CHUB - 8 Pcs has an average rating of stars based on 1 customer reviews.